Kawah Kamojang Вулкан-извержения: None in historic times. Kawah Kamojang 7 km WNW of active Guntur volcano was the first developed geothermal field in Indonesia. 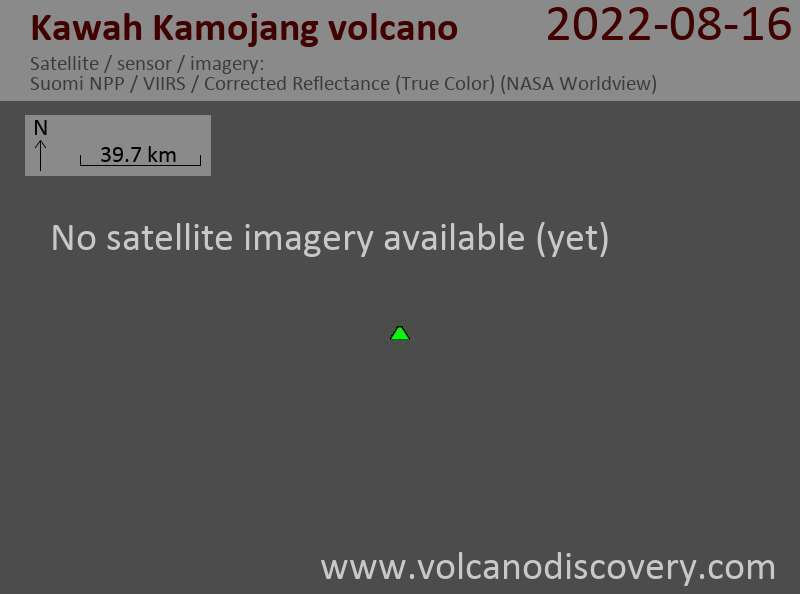 It is located within geologically young Pangkalan caldera. The 1.2 x 0.7 km hydrothermally active area has many fumaroles, steam vents, hot lakes, mud pots, and colorful hydrothermally altered ground. 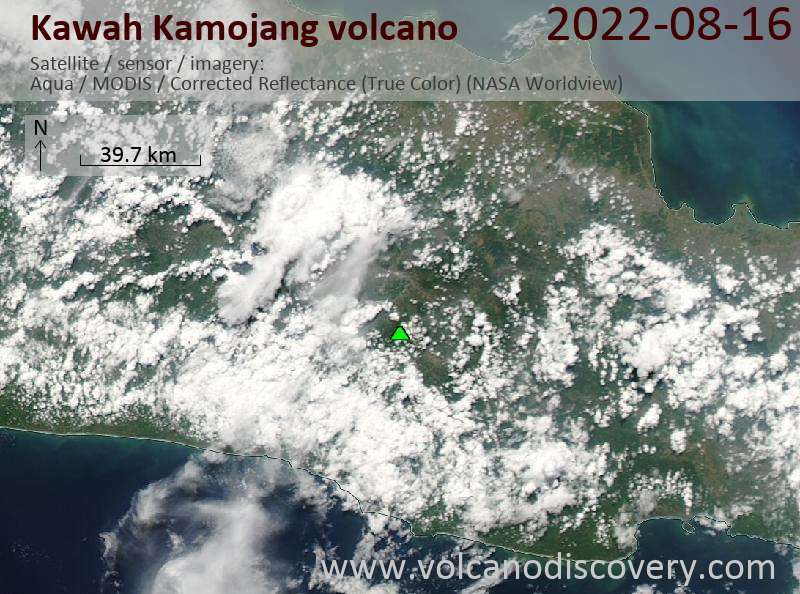 Kawah Kamojang is part of the Pangkalan and Gandapura volcanic centers and located along the Kendeng fault extending SW to the Darajat geothermal field. It is part of the WSW-ENE-trending volcanic chain that includes Gunung Rakutak, the Ciharus, Pangkalan, and Gandapura volcanic complexes, Gunung Masigit, and Gunung Guntur volcano. The volcanoes on this chain become progressively younger to the ENE.